It's hard for us to really celebrate St. Anne's feast day on the day since it is Husband's birthday although he is more than willing to share. This year, the 26th falls on a Sunday which means that the Sunday should take precedence so we made the decision to celebrate early. We already have our St. Anne's Family Album but the girls have asked if they could make a smaller version for their holy cards. According to My Nameday: Come For Dessert, the traditional colors you will find St. Anne dressed in are shades of red and green. 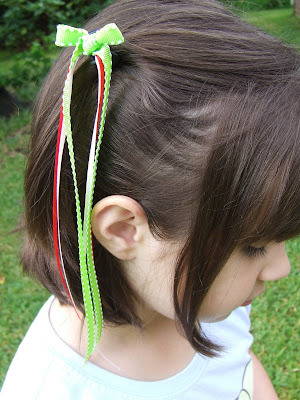 In fact, it used to be a tradition for girls named after St. Anne to wear red and green ribbons in their hair on her feast day. It doesn't have to be Christmas red and green. A light green or a pale pink is a lovely variation of color to honor St. Anne. No one here is named for St. Anne (yet!) but we made some hair pretties anyway. We simply slipped the thin ribbon through the back of a tiny little alligator clip and tied on the wider ones. A stitch or two with a needle and thread will secure it so that the bow doesn't come out. The French have a very strong devotion to St. Anne so many recipes suggested for her special day will involve seafood. You might consider making your favorite seafood meal for dinner. 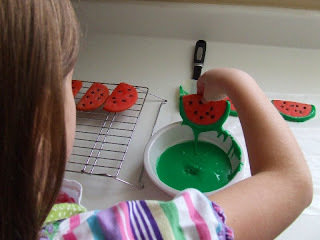 Since it is summer time, when we think of red and green, we think of watermelons! That's where our inspiration began. We found some seashells in the clearance section of our local craft store to use for decorating the table and also this watermelon clip which was just too cute to pass up. 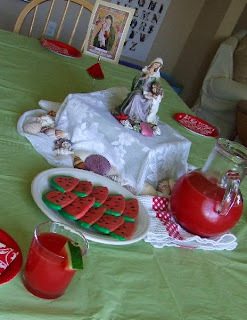 A light green table cloth and bright red plates were a nice combination of St. Anne's colors. 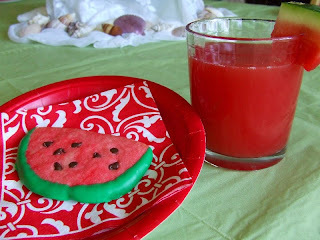 Watermelon cookies and watermelon lemonade make a perfect summertime treat. Bake for 6-8 minutes, checking after 6 minutes. Cookies will be done when edges are lightly browned. Do not allow cookies to get too brown. Remove from oven and allow cookies to cool on cookie sheets for 5 minutes. Remove from cookies sheets to aluminum foil on a flat surface and allow to cool completely. In a small bowl mix together all ingredients to form a glaze. You may add drops of water to thin glaze if it is too thick. 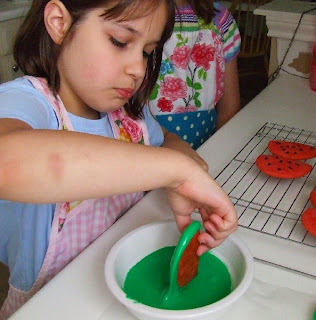 To decorate the cookies, roll the round end of the cookie in the glaze, allow excess to drip off into bowl. Place cookies back on foil until glaze dries. Process watermelon, in batches, in a blender or food processor until smooth. Combine concentrate and 2 mint sprigs, and cook in a saucepan over medium-high heat 10 minutes. Stir together watermelon puree and lemonade mixture; cover and chill 8 hours. Remove and discard mint. Stir and serve over ice. *If you are not going to add the mint, then skip the stove top step. I made half of this recipe and I strained my watermelon puree through cheesecloth so there wouldn't be much pulp. 10 cups of watermelon made about 8 cups of puree which made 5 1/2 C. of watermelon juice once it was strained. I mixed those 5 1/2 C. with one can of frozen lemonade. Simply fantastic! I was reading about the colours in "My Nameday Comd for Dessert" and I reckon you have excelled yourself in this display!! We hope to make the 'Flowering Tree of Jesse' cake from that book for the day.. I was quoting that book in the Catholic Cuisine combox while you were typing Anne. I couldn't remember for the life of me where I had read about the colors and then I saw my copy of My Nameday on my shelf and flipped through it. I will have to look at the Flowering Tree of Jesse Cake for Husband's birthday cake next year. Already have plans for this year! What a wonderful celebration and I just love seeing the pictures of your beautiful girls!! Super cute! Wow Marilyn! That does look yummy! Coming out of lurking. What a beautiful feast day celebration. St Anne is very special in our home. 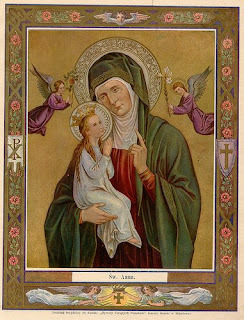 I grew up attending the St Anne Novena at her bascilica in Scranton every summer. 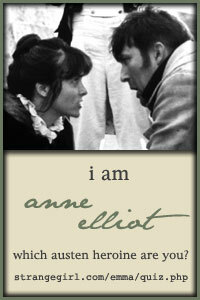 You have inspired me to make this feast day extra special. Take Care and thank you!! 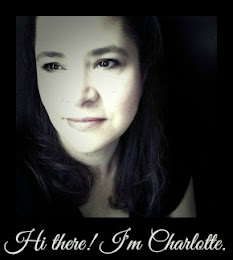 I am so glad to have read this post just in time! My first daughter's middle name is Anne because she was conceived so quickly after our wedding day, which is the feast of Sts. Joachim and Anne! I think I'll be making her a red and green hair bow for Sunday. She'll just love that - she loves being named after St. Anne! Also, soon and very soon I have to post pictures of the little Saints I have embroidered thanks to you! I also made my own Cecilia after you linked back to your angel doll (my best girlfriend just had a baby Cecilia so I wanted to make one for her)! Thanks for the wonderful ideas, you're amazing! Yes, please show us the Cecilia! She is one of Sunshine's favorite saints and was already asking if I could make one. Happy Anniversary this Sunday! What a wonderful feast you have there, Charlotte! Thanks for the St. Anne Feast Day ideas! I do have one girl with this feast day, and I am trying to do more when it is a child's special feast day, so these ideas are wonderful! And I like the St. Anne's Family album. Beautiful! And, finally, I am going to look into that nameday book. Sounds wonderful!